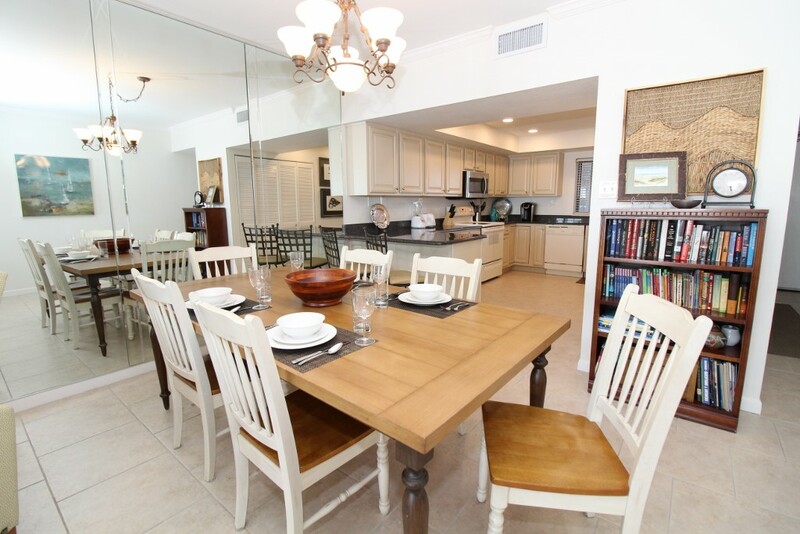 Experience the Gulf Coast like never before and live in the lap of luxury on your next getaway when you choose our fabulous 2 bedroom, 2 bath unit at Shipwatch Surf & Yacht Club in beautiful Perdido Key, Florida! Situated on the glistening emerald turquoise waters and sugar white quartz sands of the Gulf Coast, this amazing location offers awe-inspiring views, lush landscaping with tropical foliage and a sparkling beachfront pool, all just a short walk from the shimmering shores of the Gulf of Mexico. 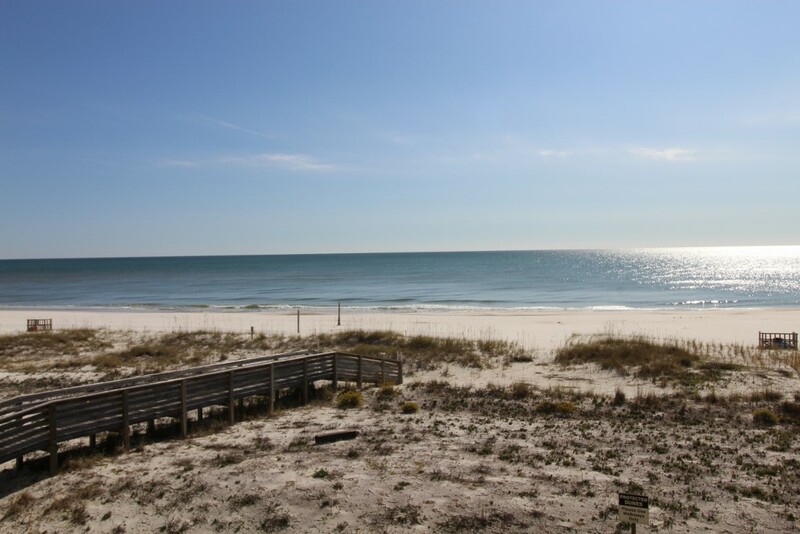 Stunning views of the expansive horizon extend endlessly, and with an average annual temperature of 75 degrees you're sure to delight in the splendor of our picturesque beaches, no matter the season! 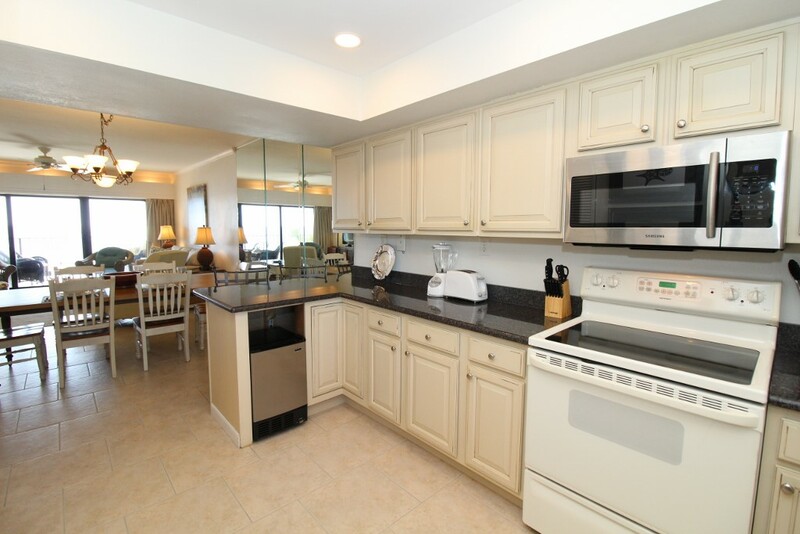 This spacious and luxurious beachfront abode boasts an open concept layout, designer furnishings and a coastal aesthetic, creating the perfect blend of style and beach-chic charm. 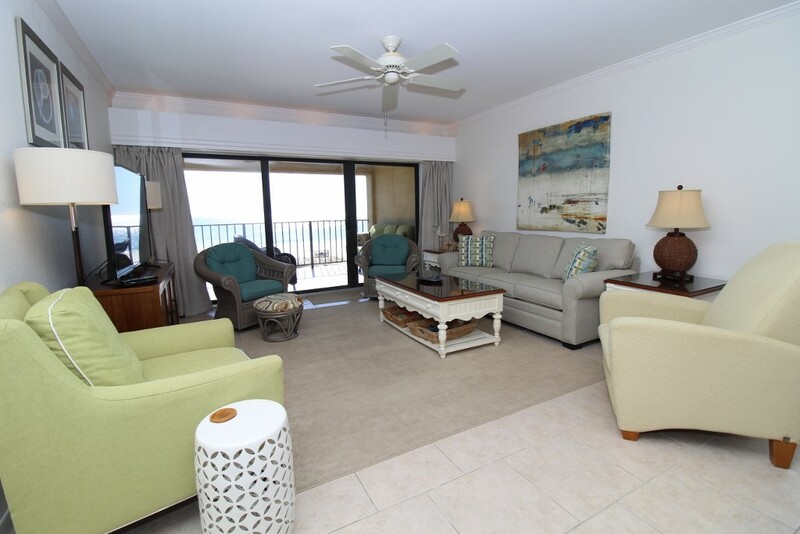 The living room is the perfect place to unwind for a cozy movie night with the family, offering plush furnishings, a large flat screen and beachfront balcony access! 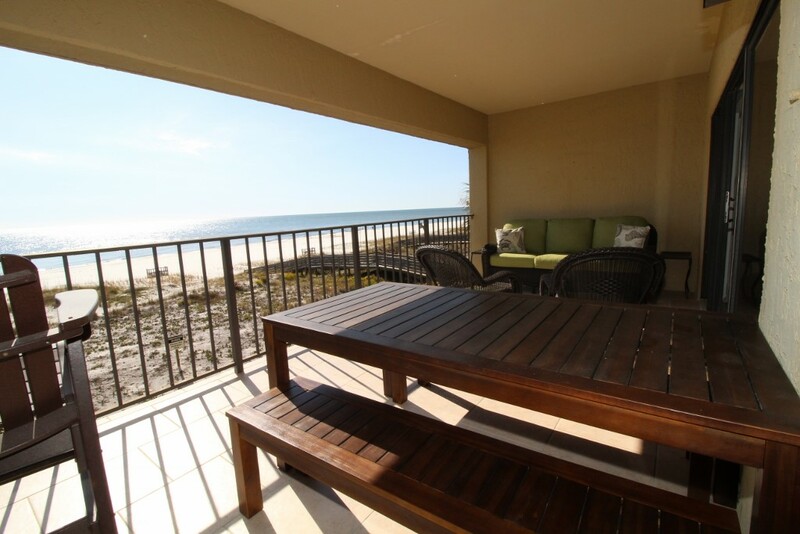 The most notable feature of the living area is the expansive sliding glass door that open up to the spacious beachfront balcony! 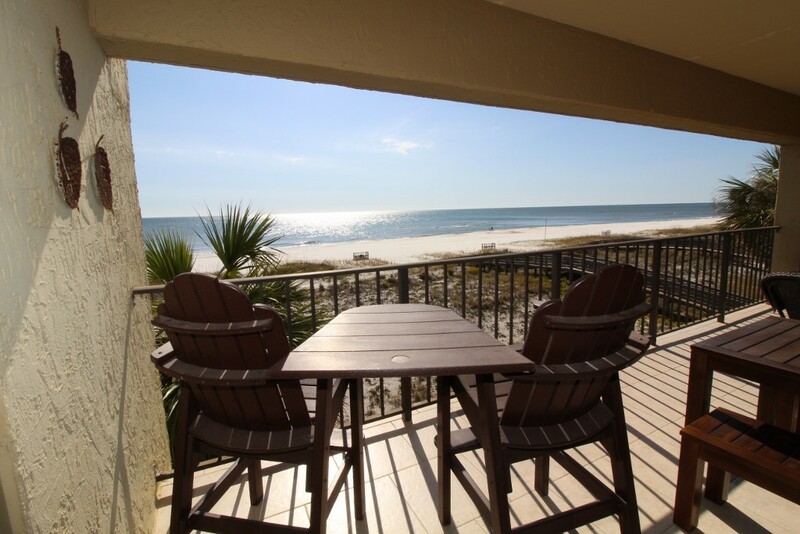 Miles upon miles of soft sugar white sands, emerald turquoise waters and blue sky can be appreciated from every angle, and with ample seating you can take your morning coffee with milk, sugar and a sunrise view of the Gulf of Mexico! As the day comes to a close and the sun begins to sink below the horizon, with the enchanting colors of a picture-perfect sunset lighting up the sky you can savor a glass of wine and delight in the splendor of it all, from the comfort of your private Gulf front balcony. 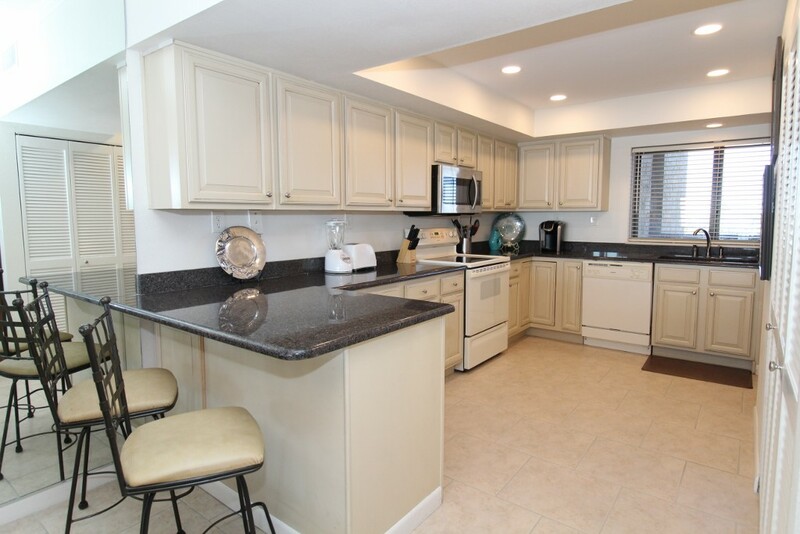 Whether you're a seasoned chef or a culinary novice, our gourmet kitchen will motivate you to embrace your inner-Emeril! 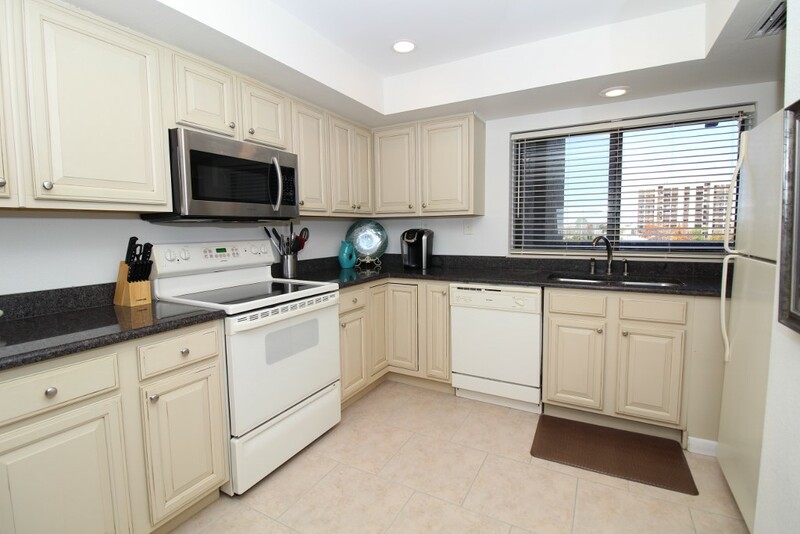 This space features updated appliances, ample cabinet and counter space, plus all the small appliances, utensils and cookware you could need to whip up a five star meal for yourself and your loved ones! 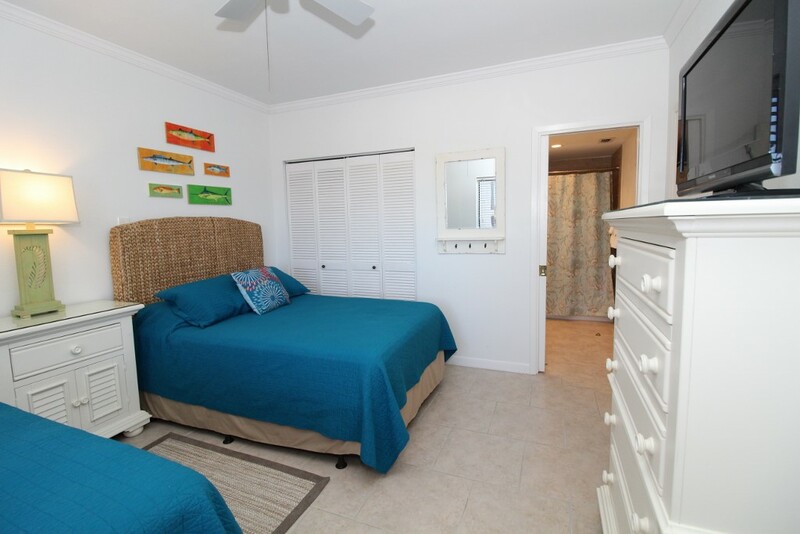 Rest, relaxation and rejuvenation are perhaps the most essential components of a successful beach vacation, so comfortable bedrooms with luxurious appointments are a must! With premium mattress sets, plush bedding and high thread count linens in each room, you're sure to catch some serious z's! 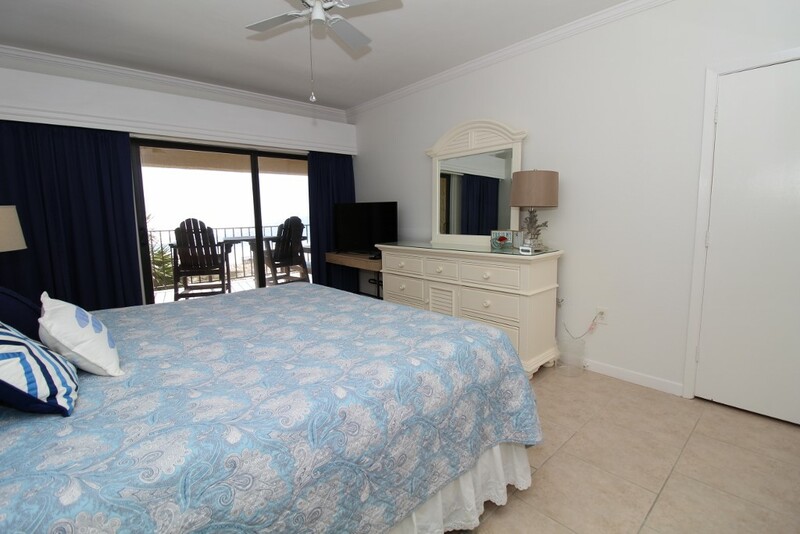 The master bedroom boasts a quality king bed, flat screen TV, luxurious bedding and beachfront balcony access. 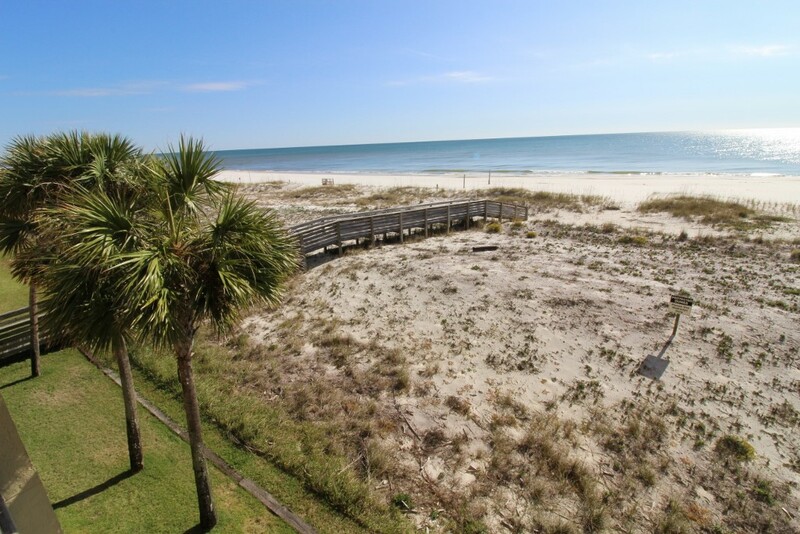 Waking up to the soothing sounds of waves crashing and seagulls soaring is the absolute best way to start your day! 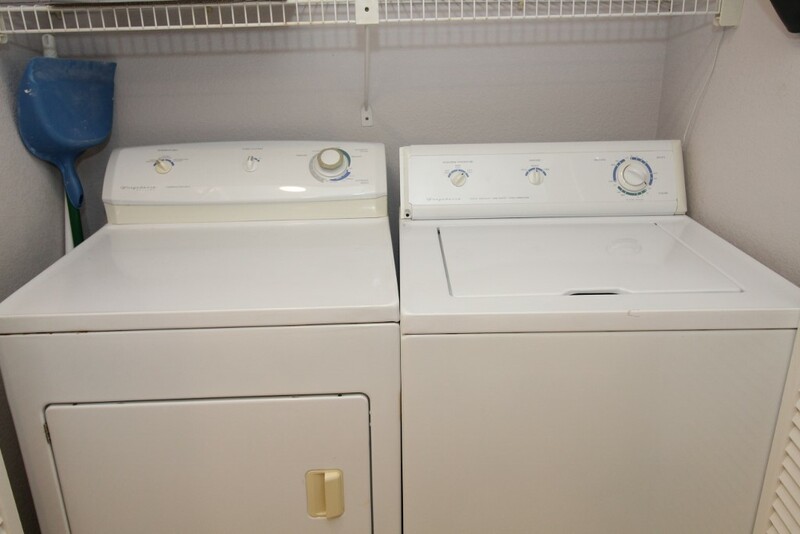 The guest bedroom is equally accommodating, with both a full and twin bed offering comfortable mattresses, high thread count linens and another flat screen TV. There is even a queen sofa sleeper in the living room, allowing this condo to sleep 5 comfortably! Shipwatch offers an array of amenities, including two pools (one gulf front and one on Old River) a fitness center, and tennis courts. You can even bring your boat, since there is a boat launch, and boat slips and trailer storage are also available! The beach area at Shipwatch is expansive and uncrowded, so you won't have to fight for a front row seat on your vacation! 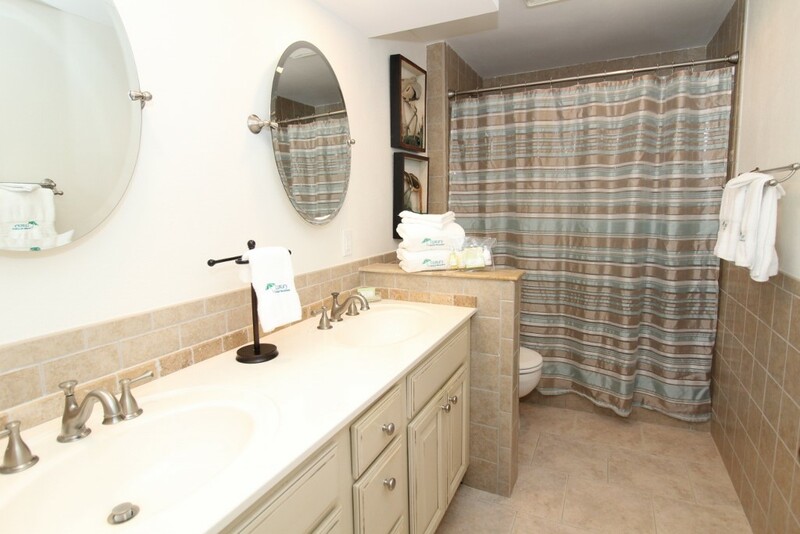 This resort truly offers the best of both worlds, and is the perfect destination for those who love to be right on the beach without sacrificing access to boating amenities. There's even a fishing pier on the Old River side, where you can spend a relaxing afternoon reeling in the day's fresh catch! Book at Shipwatch and experience the vacation of your dreams!